On a cold and rainy evening in November, a visit to the new-on-the-scene Morals Village hot-pot restaurant (in the same stripmall as T&T grocery store) turns out to be a perfect pick-me-up. What better way to forget the weather outside than to come together with friends over a couple of big pots of aromatic, bubbling broth? Hot pot is a communal experience that is at once homey, fun, and immensely Instagrammable, with everyone at the table ordering their favourite meats and veggies then dunking them into the broth until they’re ready. Morals Village, we’re told, has upwards of 600 hot-pot restaurants in China. 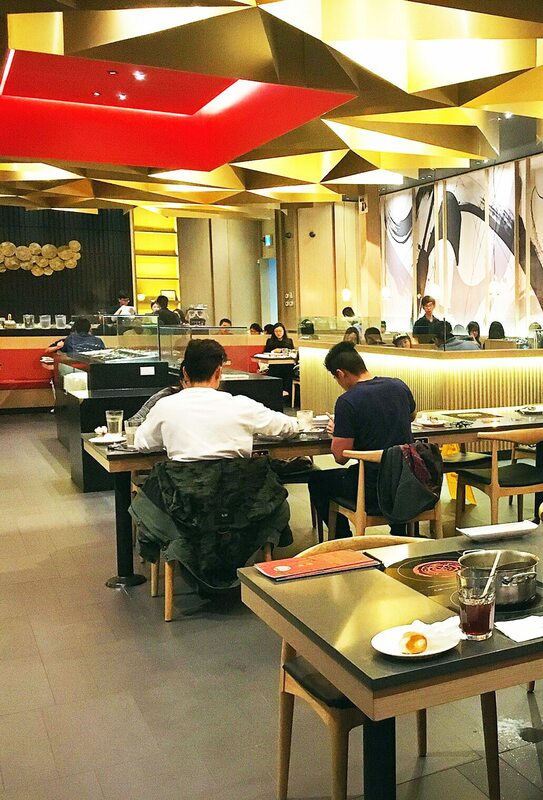 In recent years it has crossed into Canada, opening upscale hot-pot shops in Toronto (3 restaurants), Vancouver (1), Waterloo (1), and now Ottawa. The combinations here are endless — a list of close to 100 ingredients includes thinly sliced meats, all manner of fish- and meatballs, Asian and North American veggies, and hand-made noodles. And while you can opt to pay extra for special add-ons, why would you need to with so many items to choose from on the regular menu? Unless you’re a total spice hound, it’s good to have at least one mild broth option to avoid overloading on heat. 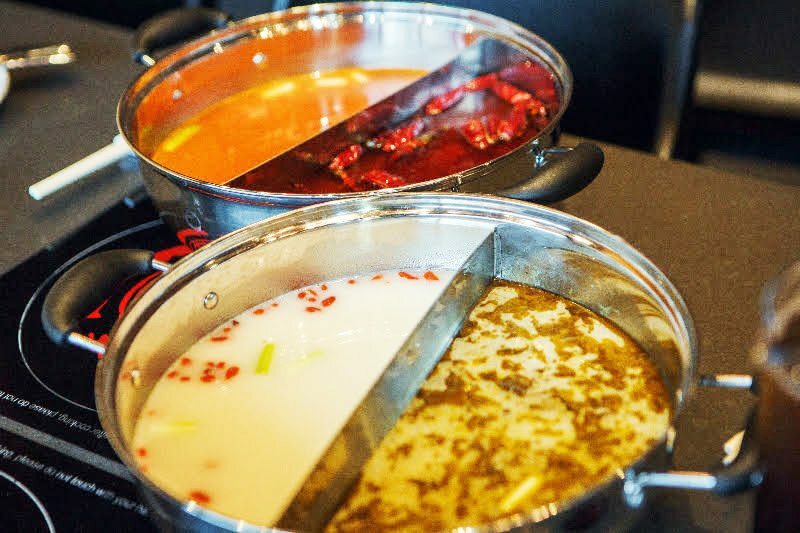 A key part of the hot-pot experience is the dipping sauces. A mix-and-match sauce station equipped with tiny bowls has over a dozen sauces, pastes, and powders. We followed along behind seasoned hot-pot eaters as they filled upwards of 10 bowls each, mixing soy, sesame, and oyster sauces with various spices to create customized blends. The dipping station also has spring rolls and mini-buns to munch on while you await your hot-pot order. Fresh watermelon and orange juices are the perfect antidote to the spicy hot pot. Don’t wear your best shirt. Unless you’re far more adept with chopsticks than we are, you will end up splashing broth on yourself at some point.